Sign up to Dry July Australia 2018 and raise funds for Cancer Council Tasmania. Cancer Council Tasmania is a state-wide, not-for-profit service provider with centres located in Launceston, Hobart and Ulverstone. Cancer Council Tasmania's mission is to reduce the incidence and impact of cancer on all Tasmanians through advocacy, education and support and information for those affected by cancer. CCT delivers a number of key services including, psycho-social support, complementary therapies, educational programs, educational resources, financial assistance and transport2treatment. Support us through Dry July and help us fund projects such as improving our support centres and purchasing new transport2treatment vehicles. Our work could not be achieved without the generosity of the Tasmanian community and the support of our dedicated volunteers. Over 90% of funding is by public donations and bequests. The Daffodil is our symbol of hope - when you donate to the Daffodil you can be assured that all funds stay in Tasmania to support Tasmanians. We're proud to announce that Cancer Council Tasmania has received a grant from the Dry July Foundation 2018 Grant Program. 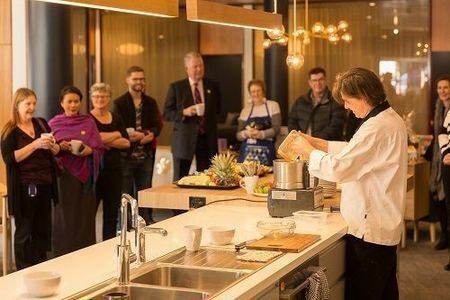 Cancer Council Tasmania are delighted to have had Her Excellency the Governor of Tasmania Kate Warner officially open the new Cancer Support Centre in Hobart in May 2018. 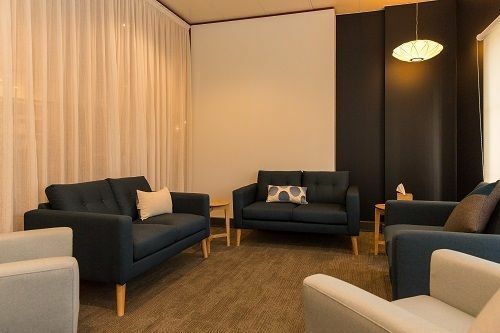 Being able to provide an inviting space has long been a major goal for all those involved with Cancer Council Tasmania. It is now a reality with the help of fundraising and support of Dry July. The Centre, like the one in Launceston, is modelled on the Maggie’s Centres in the UK. Maggie herself knew what it felt like to receive a cancer diagnosis and wanted a place to feel at home where she could talk and find out more how to deal with her situation. 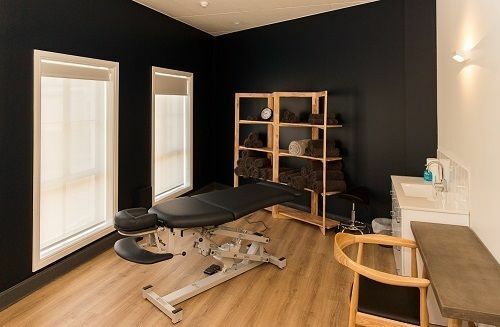 Cancer Council Tasmania’s new Southern Cancer Support Centre not only provides a place to learn more, pop in and ask questions, seek support, be fitted for a wig from our wig library but also take part in some complimentary therapies like yoga and mindfulness and oncology massage. This is an exciting new chapter of what is available for all Tasmanians impacted by cancer and only the beginning of what we are wanting to offer. 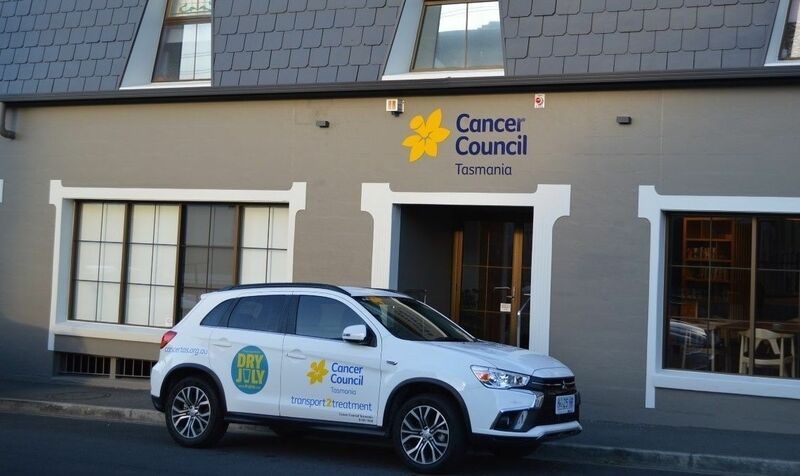 With thanks to Dry July, Cancer Council Tasmania was able to expand our (small) fleet of Transport 2 Treatment vehicles. This no cost to client service will enable clients to get to either vital medical appointments or to visit our new Southern Cancer Support Centre to attend workshops, support groups, complementary therapies, information sessions or be fitted for a wig. Funds raised from Dry July directly benefit many Tasmanians impacted by cancer. Dry July funds have continued to provide safe and reliable vehicles for use in Cancer Council Tasmania’s Transport to Treatment Program (t2t) across the state, helping a large number of people get to their cancer treatment appointments each year. One person who has seen the benefits of this service in a number of ways is volunteer driver John McClea. When John’s wife was suffering lung cancer, he was unable to drive her to treatment due to the demands of running his small business; making it difficult for him to get away. Prior to her death from lung cancer, John’s wife utilised the t2t program to find transport to her treatment appointments. “The service was so wonderful”, John said. “The drivers would make sure she was Ok and it gave me such good peace of mind to know she was being so well looked after”. Not long after her death John was also diagnosed with cancer and overall has had three diagnosis’, Prostate Cancer , Melanoma and Merkel Cell Carcinoma. John was also driven to his treatments by the t2t service and says he wouldn’t know where his life would be without this service. John now gives back by being a t2t driver himself. “This is so rewarding, because I feel I can really help people when they need it so much during their treatment. To be able to be driven by people who understand is so helpful for patients. 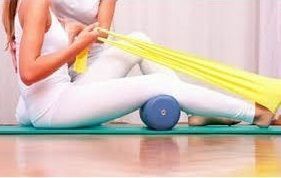 Not having to find parking and drive in the traffic yourself when you are so sick and tired from treatment makes a huge difference”, said John.